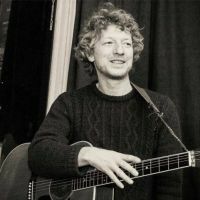 John Power will be performing 1 event in Coventry on Saturday 27th April 2019 at the Kasbah. Kasbah is a live music venue and nightclub based on Primrose Hill Street in Coventry. With a main room that has a capacity of 1,000, a 200 capacity, and a smaller 150 capacity room, it is one of Coventry's best nights out and boasts great drink prices and jam-packed weekly schedule. You can see bands, DJs, singers, comedians, and entertainers and have a drink or nine under one roof!